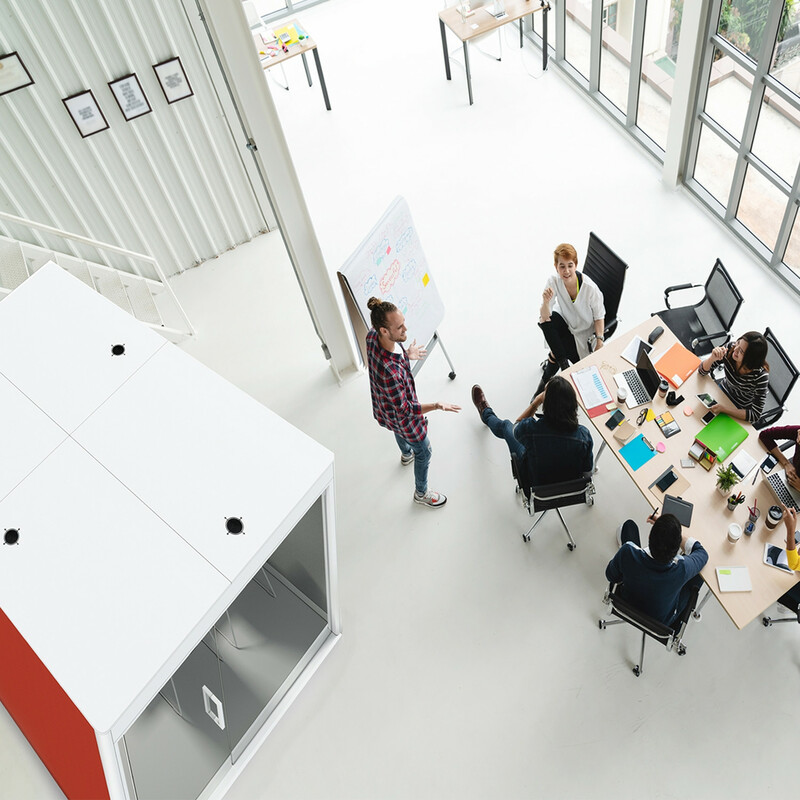 Spacio Office Meeting Pods® exemplify the transition that is currently taking place in the workplace from traditional ways of working to environments that support and encourage flexibility, agile working and nomadic working patterns. 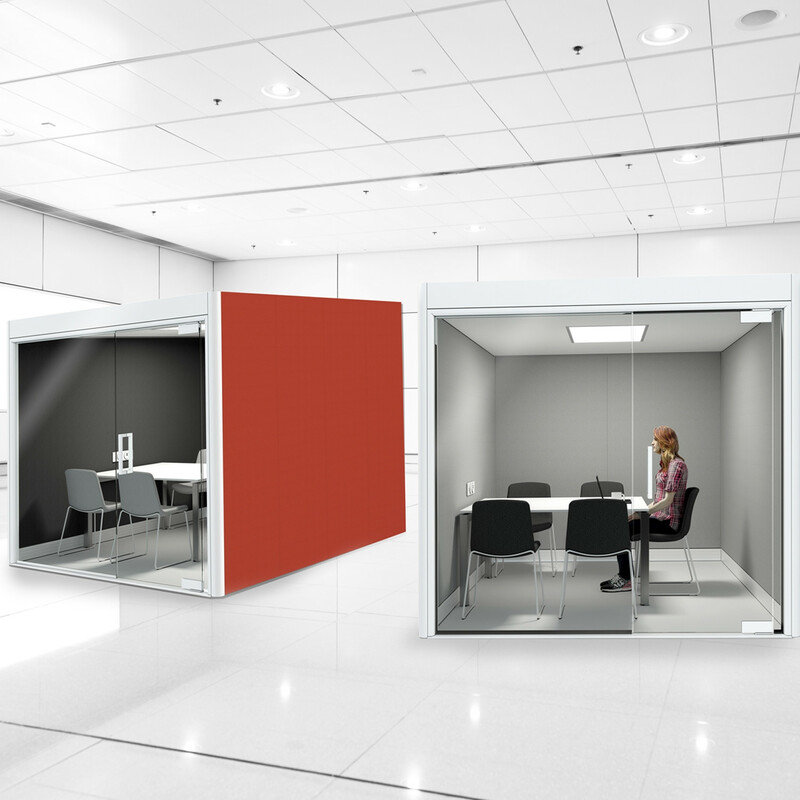 Being a freestanding, room-in-room system, Spacio® Acoustic Meeting Pods create ideal meeting rooms or secluded workspaces in an open plan office environment. 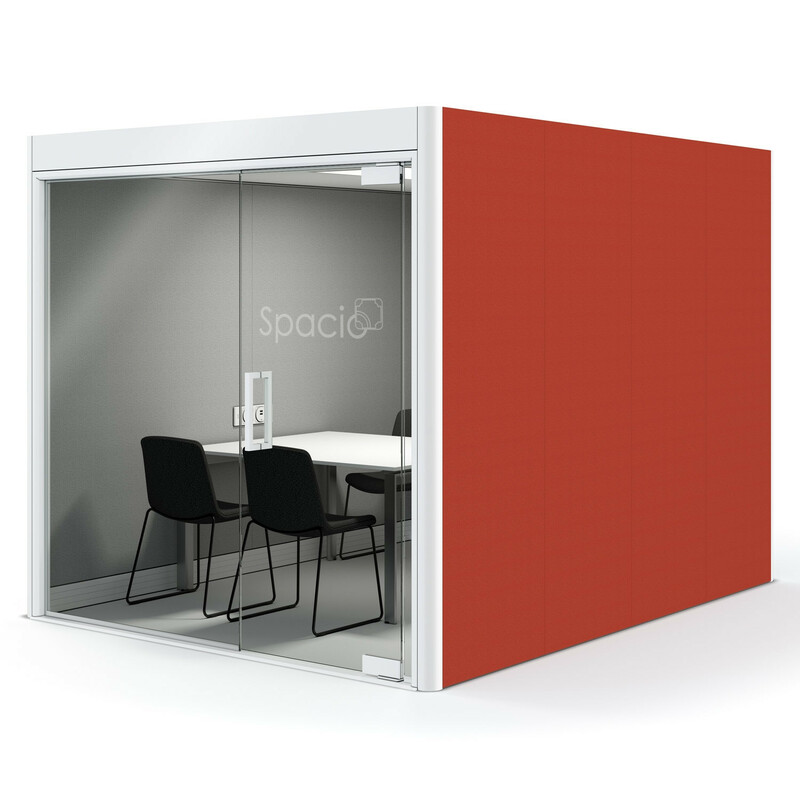 Constructed using the highest quality glazed panels and acoustic lined upholstered screen panels; Spacio Office Meeting Pods® ensure insulation and a near noiseless meeting environment. At 70mm, this screen is not only very rigid, it can also carry a lot of weight externally and a lot of acoustic foam internally. The permutations are endless with this screen and the addition of an acoustic ceiling achieves a high level of speech privacy – 95% to be exact. The design of the walls and the roof system is such that sound reduction and sound absorption is optimised for superior acoustics. 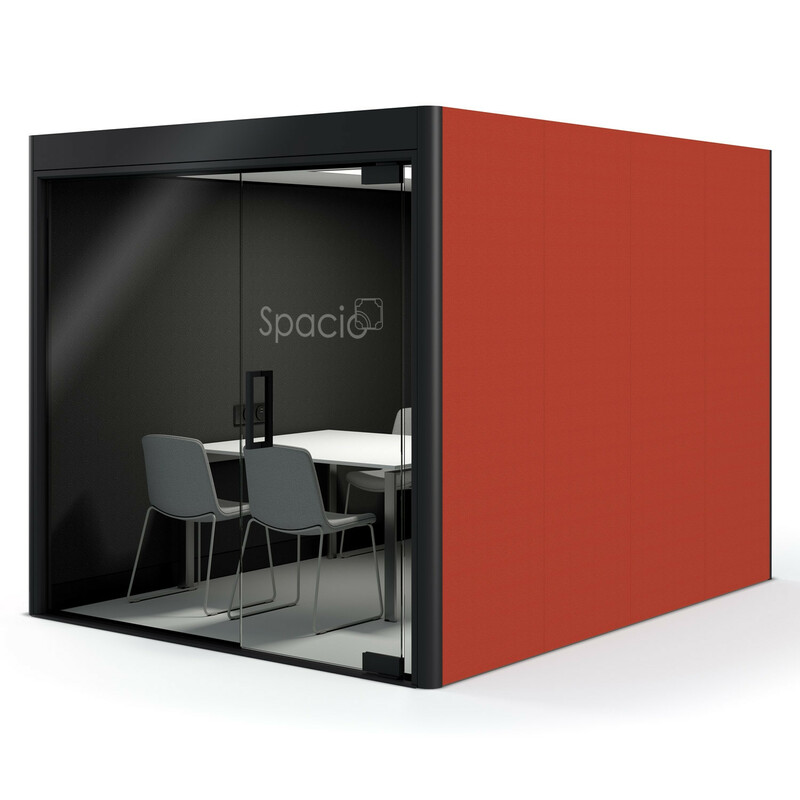 The Spacio® Acoustic Office Pod system is demountable, customisable and can easily be reconfigured and, unlike partitioning, there are no dilapidation costs to consider. 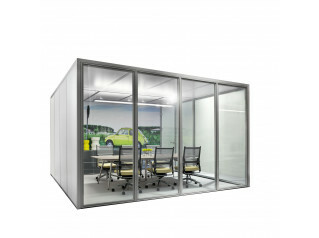 The office meeting pods can furthermore be linked to one another by sharing panels resulting in a saving of both space and cost. Colours/Fabrics: The panels of the screens can be upholstered in various colours and fabric options. 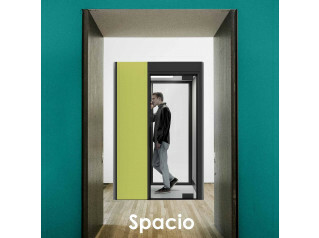 Please contact us or download our Spacio® Brochure from this page for more information. 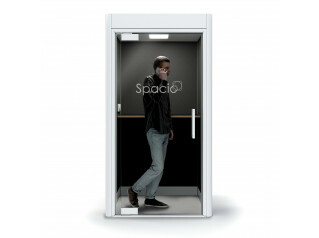 Please see also Spacio Phone Booths and Spacio Mini Pods from the series. 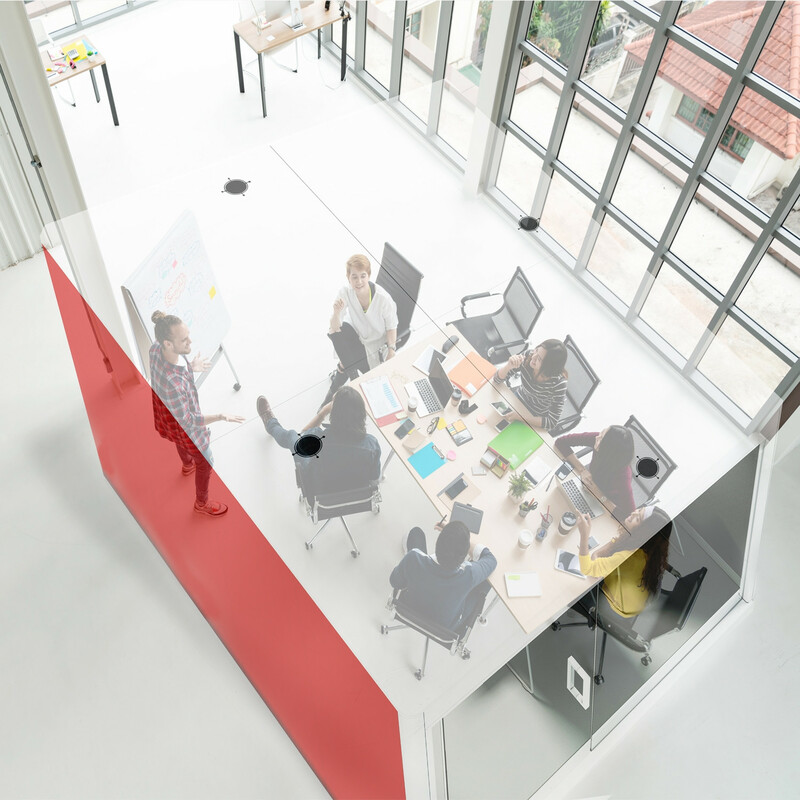 Over 80% of workers believe a quieter environment would enable them to be more productive whilst the actual physical symptoms of stress reduces by 27% - David M. Sykes Ph.D. (2004). 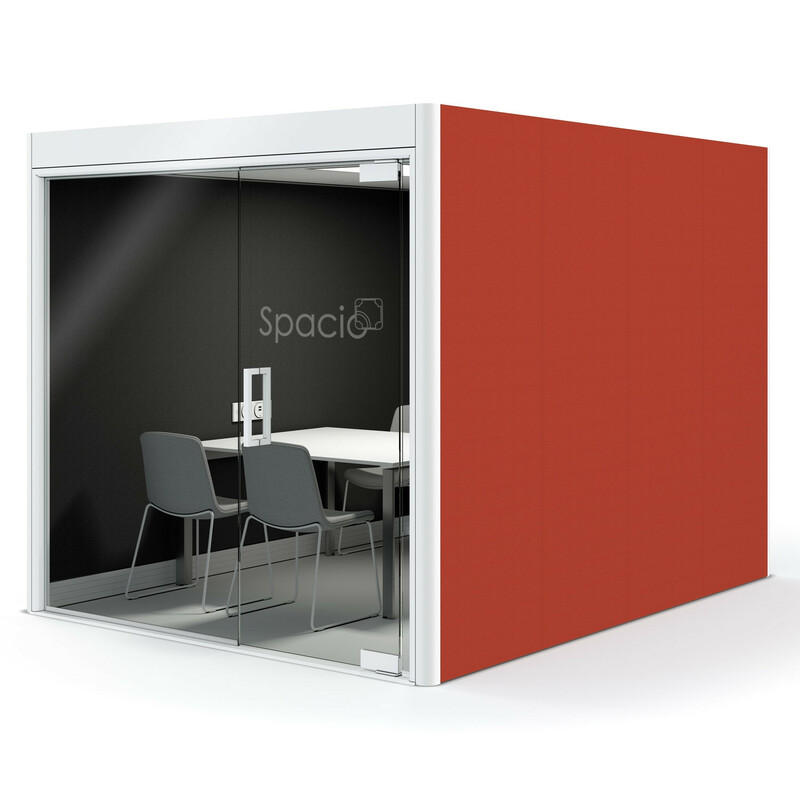 You are requesting a price for the "Spacio Meeting Pods"
To create a new project and add "Spacio Meeting Pods" to it please click the button below. 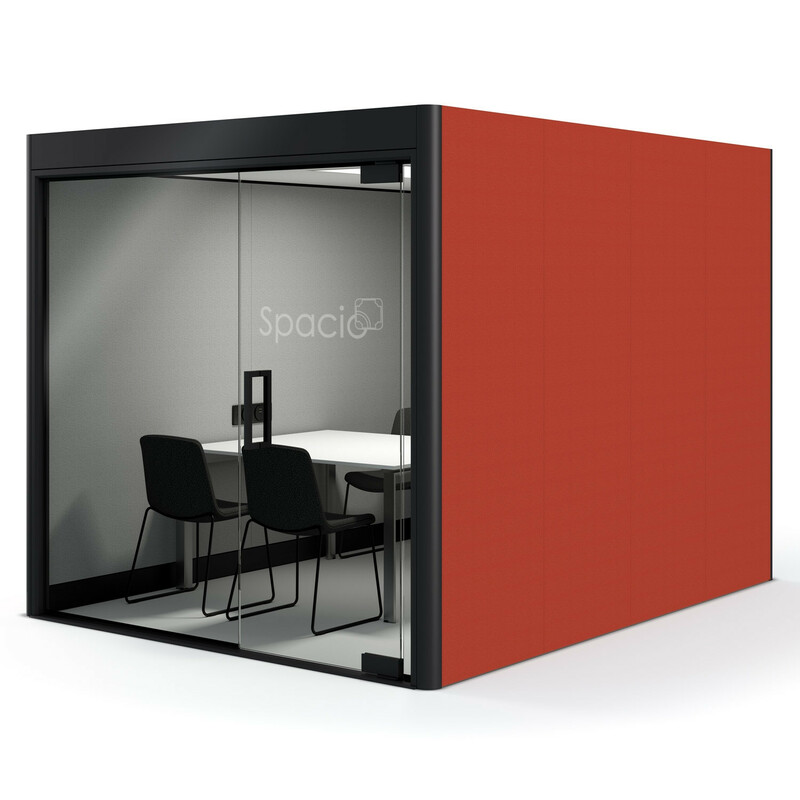 To add "Spacio Meeting Pods" to an existing project please select below.